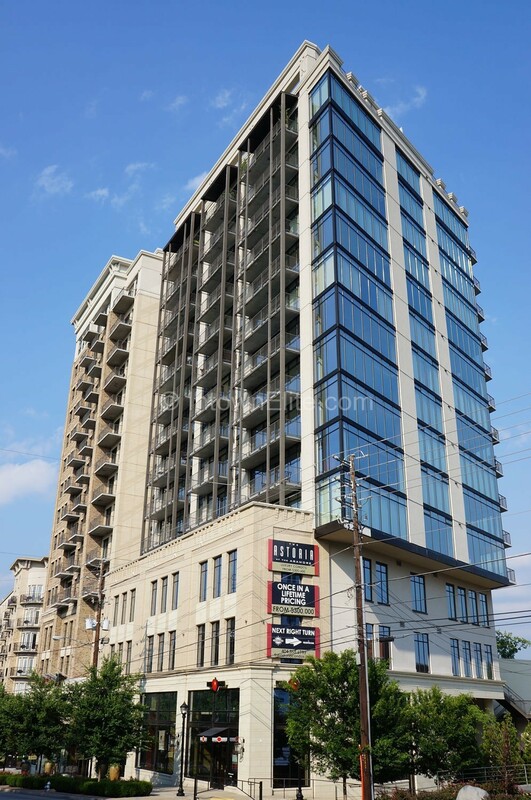 Located further south than most Buckhead high-rises, Astoria is situated on Peachtree between Peacthree Battle Avenue and Collier Road, a bit north of Piedmont Hospital. The residential units sit atop 5,726 square feet of retail space, which houses restaurants such as Restaurant Eugene and Holeman & Finch. The building also includes office condominiums. For many, this is an excellent live/work opportunity with Atlanta’s easiest commute: home to office via elevator. The residential units are a mix of fifteen different one, two and three-bedroom floorplans, ranging in size from around 1,000 square feet to well over 3,000 square feet.